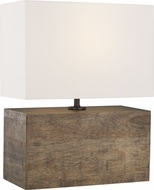 For the more contemporary décor, consider table lamps, modern style, in a variety of finishes ranging from chrome to brushed steel with sand blasted frost, or multi-color glass shades. Add these elegant table lamps, modern in style, to your decor for a chic presentation. 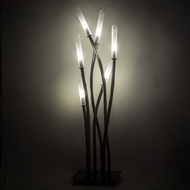 Twisted, puzzled, polished and pristine, Modern Table Lamps are mordern and competitively priced. 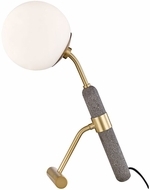 These affordable, modern table lamps are perfect accents for newly renovated rooms. 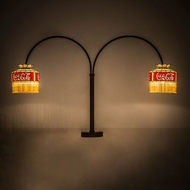 Take your lighting design temperature up a notch with new home lighting accents and lamps. There is a table lamp, contemporary or modern out there for any budget and always at affordable prices. 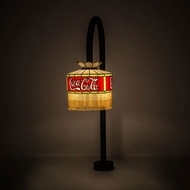 AffordableLamps.com offers a variety of contemporary table lamps. 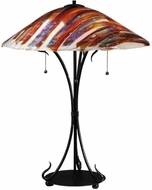 Modern table lamps and contemporary table lamps are the perfect touch for any room. The best contemporary table lamps brighten up spaces while adding a unique touch to the room’s décor. 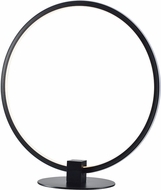 Buy a table lamp; modern spaces should be decorated with a nice table lamp, contemporary in style.